Below are Box Office Collection Report of bollywood film 'Babumoshai Bandookbaaz' With his review, budget and total box office and worldwide collection status. Babumoshai Bandookbaaz movie lead star cast is Nawazuddin Siddiqui, Bidita Bag. Babumoshai Bandookbaaz is an indian Action, Romantic, Comedy Film of 2017, directed by Kushan Nandy & produced by Kiran Shyam Shroff, Ashmith Kunder. 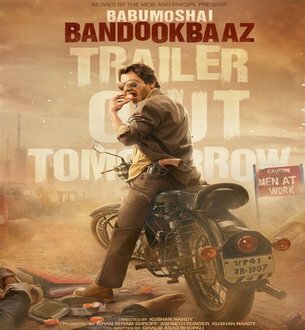 Babumoshai Bandookbaaz film Released in over 1000 screens in India. Has garnered Rs 2.05 crore on Day 1 and Rs 2.41 crore on 2nd day at the box office. The film’s earnings will almost certainly overtake its budget on Sunday and anything after that would be a bonus. It is heartening to see that a specimen of parallel cinema with a character actor.